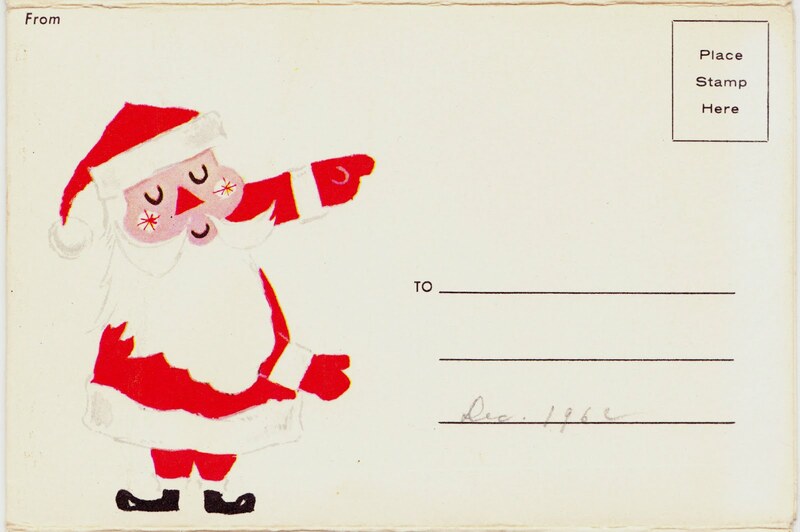 This "Photo with Santa" card is dated December 1962 (a half-century ago!) on its tri-fold envelope. The young man on Santa Claus' lap does not look terribly happy to be there. There's no indication on the photo or envelope of where this photo was taken. Across the bottom of the photo, though, is a white card that states W2P 1636. 1. 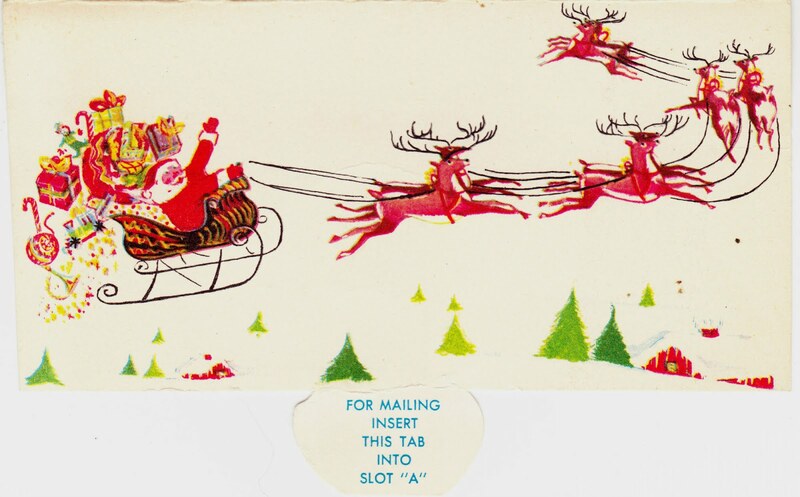 On its "About" page, Creepy Santa Photos includes the following disclaimer: "Don’t let our *CREEPY* name fool you. We are in no way suggesting any person or Santa Claus featured on this website is creepy, a creep, or a bad person in any way! We do our best to keep the humor light and non-offensive. 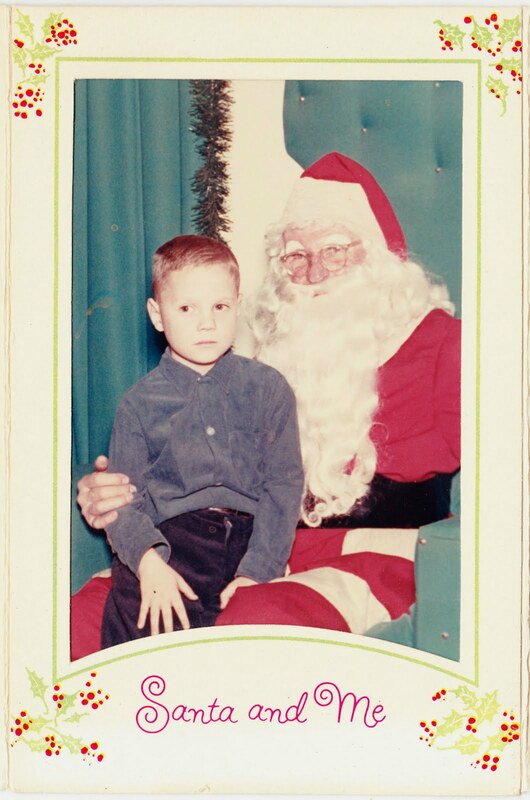 The origin of the name, 'Creepy Santa Photos' arrived from Googling several phrases. People worldwide simply prefer the term 'Creepy Santa' to find photos than they do 'Scary', 'Silly', or other such descriptors." So there. 2. Joan and I found this photo on The Santa Blog to be extremely disturbing.